A personal and powerful essay from Chimamanda Ngozi Adichie, the bestselling author of 'Americanah' and 'Half of a Yellow Sun', based on her 2013 TEDx Talk of the same name. An eBook short. What does "feminism" mean today? 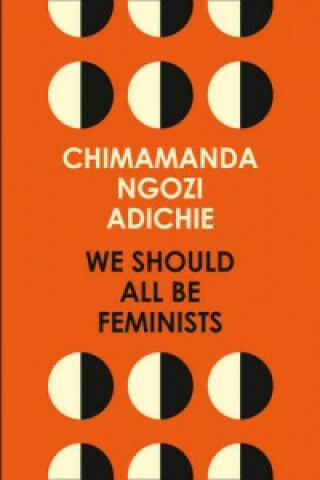 That is the question at the heart of We Should All Be Feminists, a personal, eloquently-argued essay - adapted from her much-viewed Tedx talk of the same name - by Chimamanda Ngozi Adichie, the award-winning author of 'Americanah' and 'Half of a Yellow Sun'. With humour and levity, here Adichie offers readers a unique definition of feminism for the twenty-first century - one rooted in inclusion and awareness. She shines a light not only on blatant discrimination, but also the more insidious, institutional behaviours that marginalise women around the world, in order to help readers of all walks of life better understand the often masked realities of sexual politics. Throughout, she draws extensively on her own experiences - in the U.S., in her native Nigeria - offering an artfully nuanced explanation of why the gender divide is harmful for women and men, alike. Argued in the same observant, witty and clever prose that has made Adichie a best-selling novelist, here is one remarkable author's exploration of what it means to be a woman today - and an of-the-moment rallying cry for why we should all be feminists.